By now I’m sure that a lot of people (especially those who travel back and forth to Mexico) have been hearing about the Ferry Service from Florida to Mexico. It’s coming, it’s not coming, it’s coming, etc … and some have become of the mindset ‘I’ll believe it when it happens’. I’m sure plenty of you out there will agree when I say that this service is not only needed, it is highly anticipated. How much easier would it be for us Mexico lovers to travel back and forth? 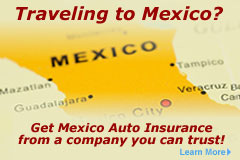 Dependent on where in Mexico you are or like to travel to of course!